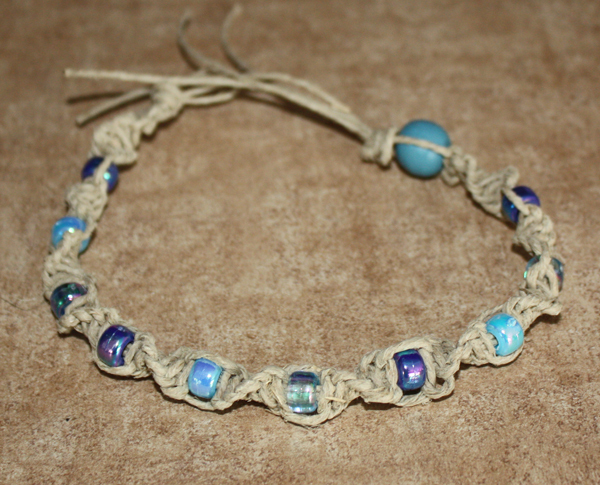 This 10″ anklet was started with 3 regular square knots. Then I would do one complete spiral, thread a plastic bead, then one complete spiral, and then repeat the process. I ended with another 3 regular square knots and an end bead for looping. 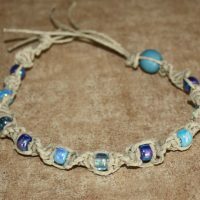 This can also be used as a necklace for a child. Customize and buy your own!